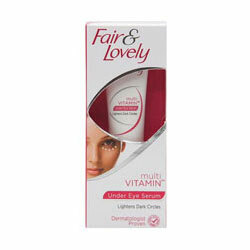 The New Fair & Lovely Under Eye Serum works on your under eye dark circles in 2 ways. Gently rub the serum on the under eye area. Use daily for effective results within 2 weeks.